An idyllic lifestyle awaits at Apollo Waters. Located on the canals, fronting parkland, in the heart of Port Mandurah and a stones throw from the centre of Mandurah City, Apollo Waters provides you with the comforts of home and the luxury of a holiday. 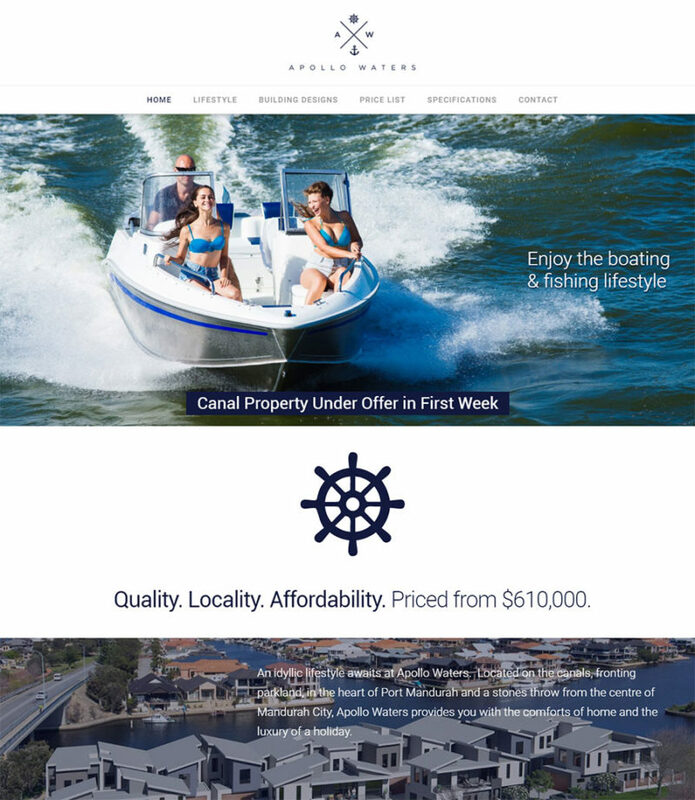 The Apollo Waters site uses a clean, minimalist design, matching the style of its logo, and keeping focus on showcasing what’s important – the fantastic canal-front house & land packages.